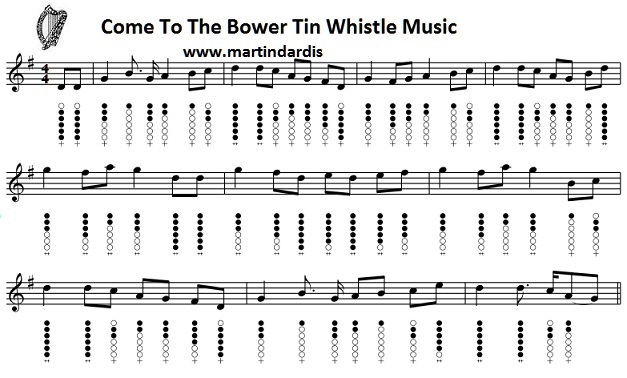 Come To The Bower Tin Whistle Sheet Music. The whistle totes are in the key of G, and the second sheet music is in the key of E Major. Recorded by The Dubliners, Johnny McEvoy and by The Clancy Brothers with Tommy Makem. A traditional tune.